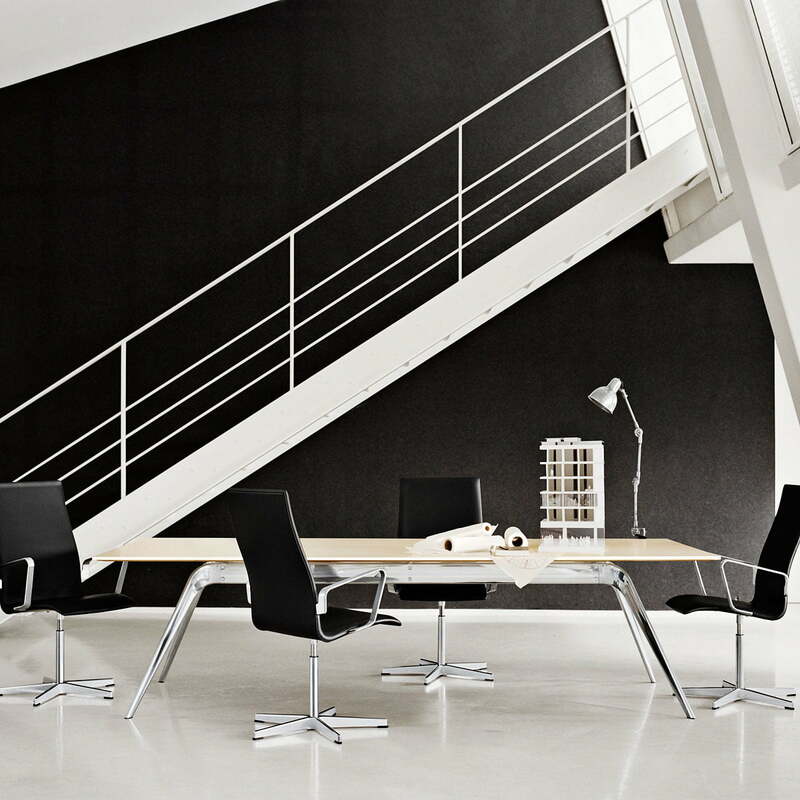 40 years after the introduction the Oxford chairs were revitalized; today the look is much more true to the originals. A much more sculptural look has been obtained. 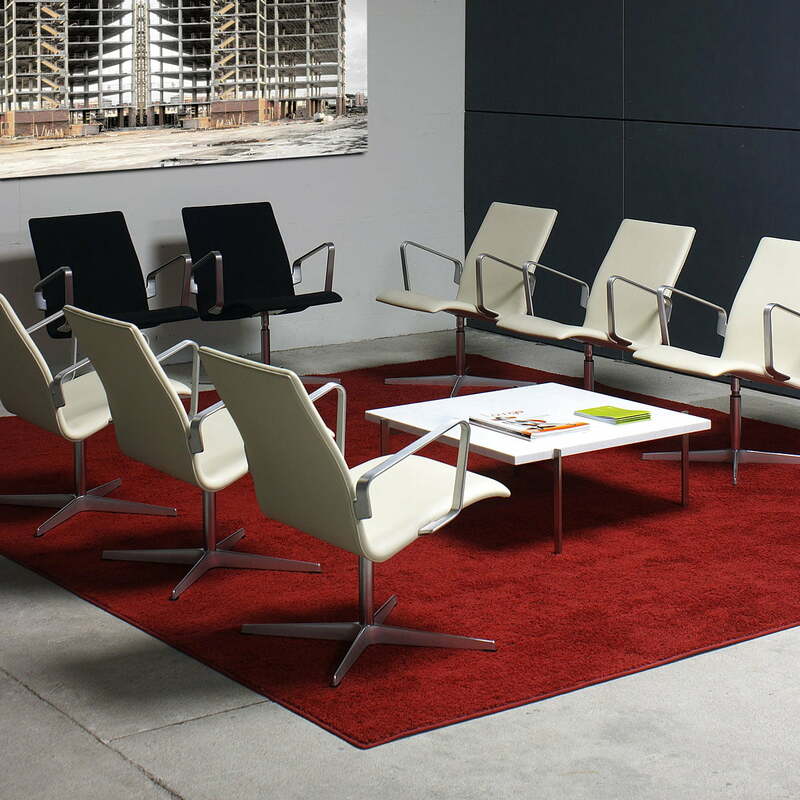 Tall, medium-high or with a low back, lounge models, different options, e.g. casters and arms. Leather or fabric upholstery. 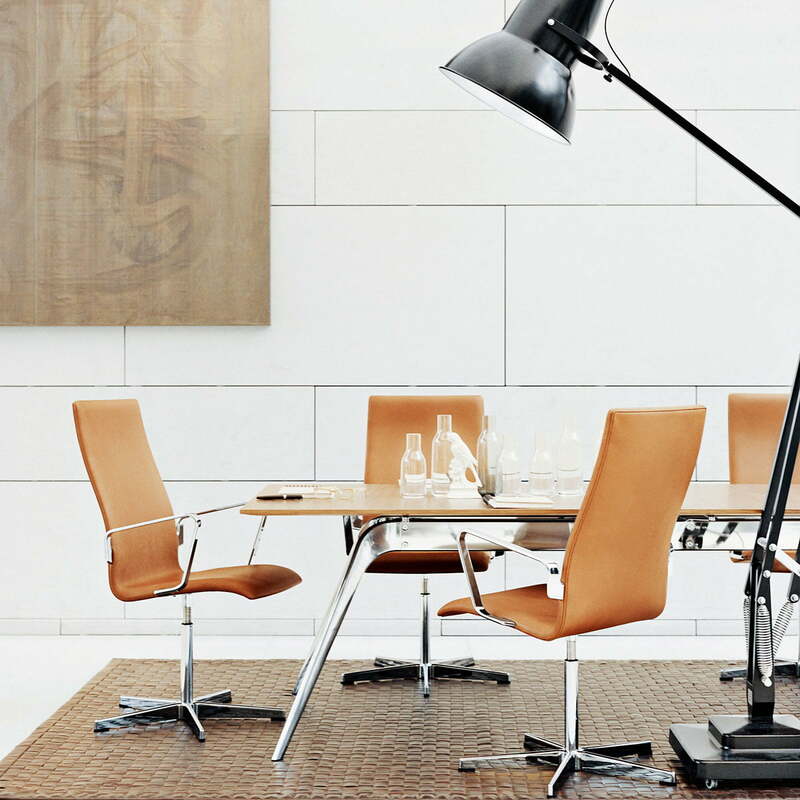 Der Oxford Stuhl wurde entsprechend der Linienführung und den Maßen von Arne Jacobsens Originaldesign neu gestaltet. Das Ergebnis ist ein schlankerer und noch schönerer und bequemerer Stuhl. Bestens geeignet als Konferenzstuhl, Gästestuhl oder Arbeitsstuhl sowie in Loungebereichen. 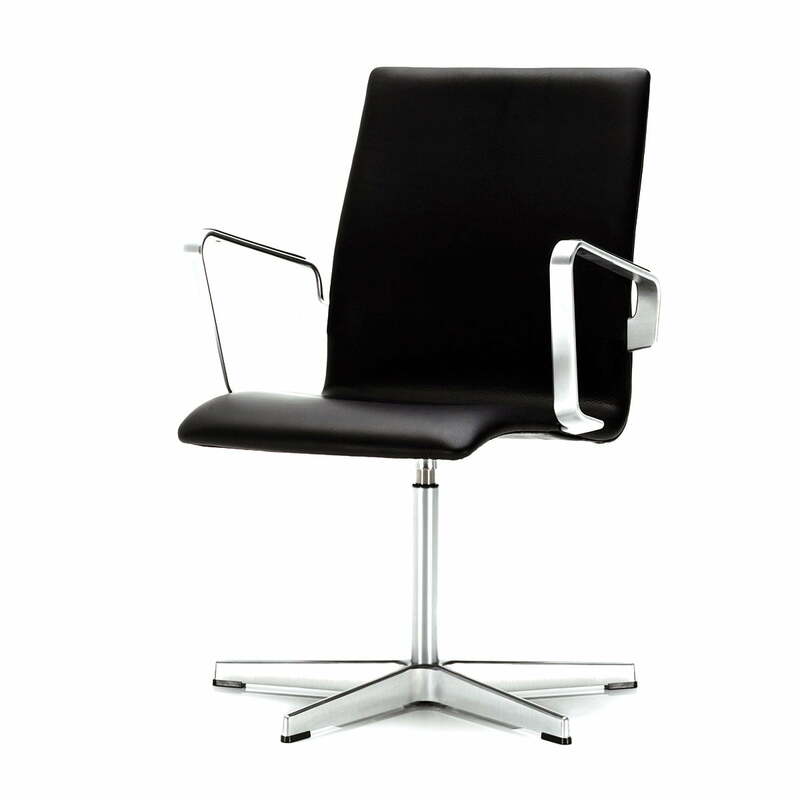 The Oxford Chair is also available in other versions: with low, medium, or high back; height adjustable or not. It is also available with rolls. Accessoires like arm supports, aluminium gliders, and return mechanism can also be ordered!